... and of true love. Peruse a diverse selection of topical Bible studies from a variety of authors, along with an assortment of biblical charts and calendars, and Internet links for Bible study sites, devotionals, scriptural message podcasts, and online study courses. 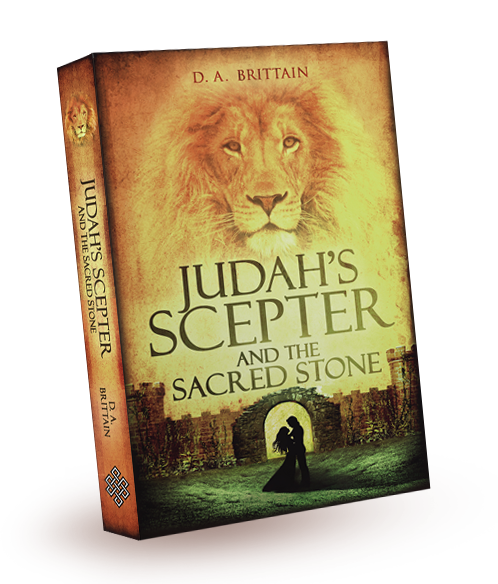 including Bible study resources, additional books in the Judah’s Scepter series, and more! “This title blends Scripture with fiction as you follow the journey of the Princess Teia from the destruction of Jerusalem to her ultimate home in the islands of Britannia. Her ‘guide’ is the prophet, Jeremiah. The telling of this story is ‘wrapped’ in modern times with the coronation of the new King of England. “The book is a very well-written mystery \ thriller that keeps you engaged from the beginning to the end. But what really makes it stand out is that it tells a tale based on tradition that, although can’t be proven, seems very real and possible. Interspersed throughout are Biblical references which adds a whole new dimension both to the tale and the Biblical stories. “What Brittain does best is weave an interesting love story during one of the most troublesome times in Jewish history, giving hope to the idea that maybe not every member of the royal family was destroyed. As Princess Teia continues her journey, you see her battling with accepting a God that her entire family rejected to their peril. Will Teia be able to find happiness? “What a great story! Travel with Jeremiah, his scribe, Baruch, a small group of Israelites and a princess as they escape the wrath of Nebuchadnezzar, sojourn for a while in Egypt and escape from ruthless pirates! Jeremiah carries the stone that Jacob used for a pillow from Jerusalem through their exile to its final resting place. “The story begins and ends in the present day in England that gives it relevance to what was revered in ancient times is still treasured today. In 586 BC, Jerusalem was destroyed and Jeremiah, God’s prophet, escapes with the last royal survivors and a group of refugees. By boat they travel first to Egypt – where an encounter with British seafarers starts the group on a long sea journey full of violent adventures and saved by God’s guiding words through Jeremiah, his prophet. “This book weaves together legends of a love story and the merging of cultures, providing not only historical detail of life during ancient times, but also a plausible story to support the royal lineages and the history of Britain’s coronation stone.